Between Astros baseball, mission control, and an abundance of international business activity, Houston has plenty to offer residents and visitors alike. 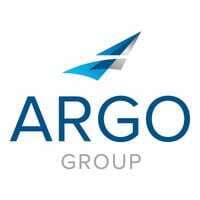 Home mainly to Argo’s Surety employees, the Houston office is in a prime location to work with the oil and gas partners who drive its success. With so many employees working on the same line of business, the Houston office has a tight-knit group and collaborative culture. Watch the video to see what these employees have to say, and visit offices in other cities to see why Argo is one of the best insurance companies to work for.